International Journal of Research in Health Sciences,2018,6,3,45-51. 1Assistant Professor and 2Assistant Professor, Department of ENT Great Eastern Medical School and Hospital, Ragolu, Srikakulam, Andhra Pradesh, INDIA. Background: Now days head ache patients are increased day by day. Many causes are present of which LPR is one of the causes for headache. Incidence of headache due to LPR is increasing day by day. Materials and Methods: It is a cross-sectional observational study conducted in 128 patients attended to ENT OPD in Great Eastern Medical School and Hospital, Ragolu. Srikakulam. During period Jan 2017-Jun 2017. 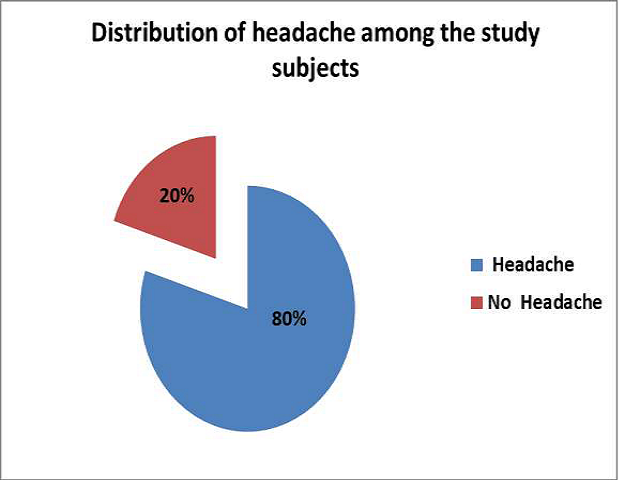 Results: Different types of headaches are present in LPR. Patients of which head ache in vertex region is most common. migraine and tension types its seems like triggered by LPR. These head ache are most common in middle aged female patients. Conclusion: LPR is one of the causes for different types of headaches of which vertex head ache and migraine and TTH are common and this is most common in middle age female patients.